“The way you respond to a guy could save his life,” said Steve LePore, founder of 1in6, as he spoke to a group of Airmen at the Scott Event Center about the stigmas facing male survivors of sexual assault. “If we don’t believe a guy, if we question [his assault], if we minimize it, if we do anything other than just say ‘I believe you, and I care about you,’ we run the risk of them recoiling,” said LePore. LePore founded the 1in6 organization in 2007 after recognizing that there were few services dedicated solely to male survivors of sexual assault and abuse. These survivors face unique societal barriers in reporting their traumas. 1in6’s name draws attention to the fact that one in six men have suffered sexual assault in their lives, and it’s the only professionally-staffed national organization that focuses on male survivors. 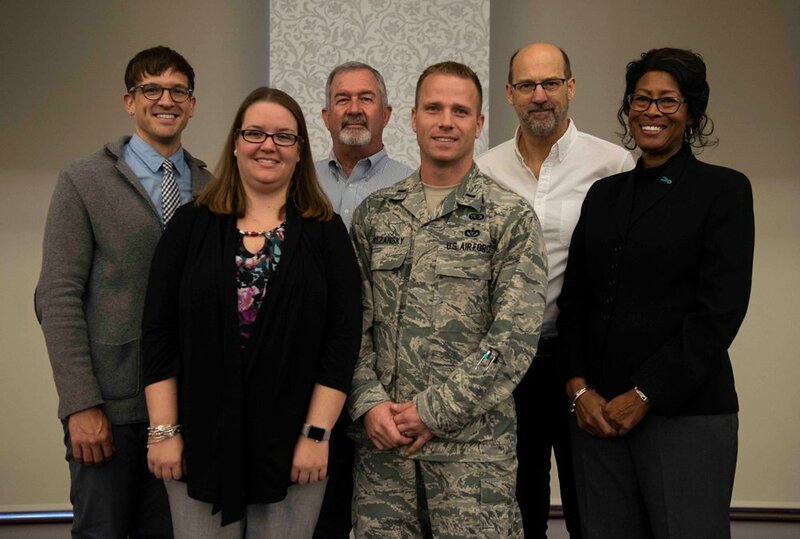 Scott AFB’s Sexual Assault and Prevention and Response team invited LePore to speak to Airmen on Oct. 29, 2018. Anthony Edwards, Top Gun and ER actor and 1in6 board member, was also there to share his story. Edwards said it’s important to visit military bases because the military has led the national sexual assault prevention effort. LePore and Edwards spoke as both advocates and survivors when discussing the barriers men face in reporting assault or abuse. They emphasized the courage necessary to overcome these barriers.